I'm building a robot with 15+ SG90 micro servo's. To power it, I've bought a 2C lipo battery, and a 5/6 volt BEC. I've hooked up the BEC's 5v (red) to all the servo's red, and the BEC's ground to the servo's ground, as well as some arduino grounds (that control the servo). The BEC has an on/off switch. When the BEC is switched to off, and I plug the battery into the BEC, a surge of current flows through to the motors. They all "twitch" very rapidly, and I've had some wires melt/smoke. I tried to build a photovore using and arduino and tested it via usb cable,so far so good the system worked as intended as soon as i plug my battery via the dc connector the servo worked but extremly slow why? 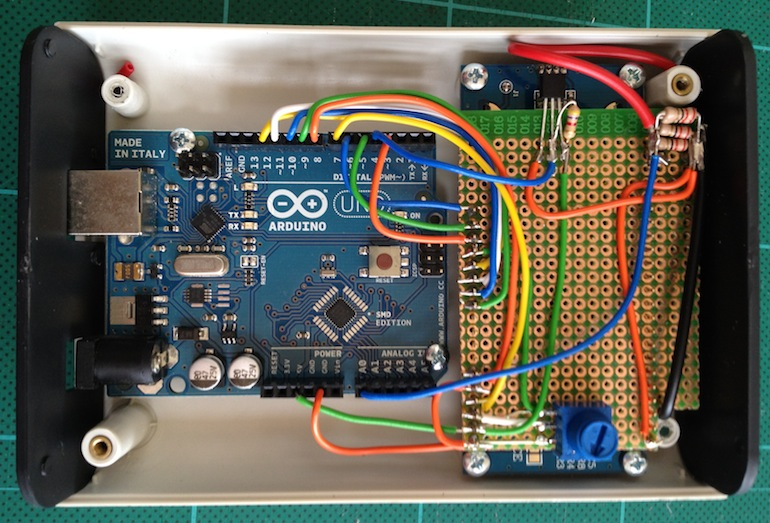 A yet another reason to have arduino in your basic-electronic toolkit. You can build your own battery capacity measuring device. Now compare all the brands of the so claimed ‘long lasting batteries’. Know what you are buying! Follow the instructions to build from here. and get building!